As we all know that Xiaomi has scheduled an event at the China National Convention Centre in Beijing on September 27 where the company will unveil the Xiaomi Mi 5s smartphone. Company has also released a teaser for the same with a big ‘S’ taking the spotlight, hinting that the much rumoured Xiaomi Mi 5s is finally set for a launch. Now, as per the recent reports, company has shared an image that reveals the benchmark score for the upcoming smartphone. As per the Pcmag, Xiaomi has released an image showing the Antutu score of Mi 5s. This image comes right after Xiaomi’s competitor LeEco unveiled their flagship smartphone Le Pro 3 which boasted a Antutu score of 163,594, the highest seen on any Android smartphone. 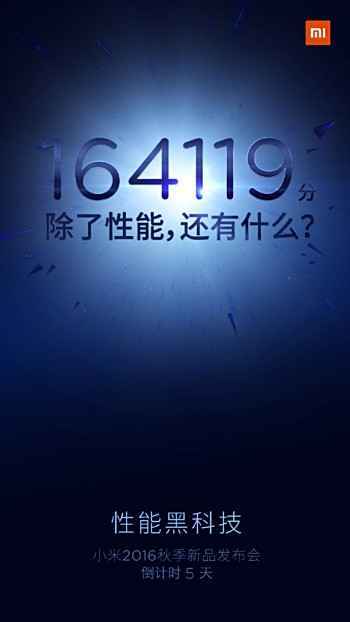 But, the image teased by Xiaomi shows a score of 164,119, which is higher than the one seen LeEco Le Pro 3, thus putting the Mi 5s back on top. 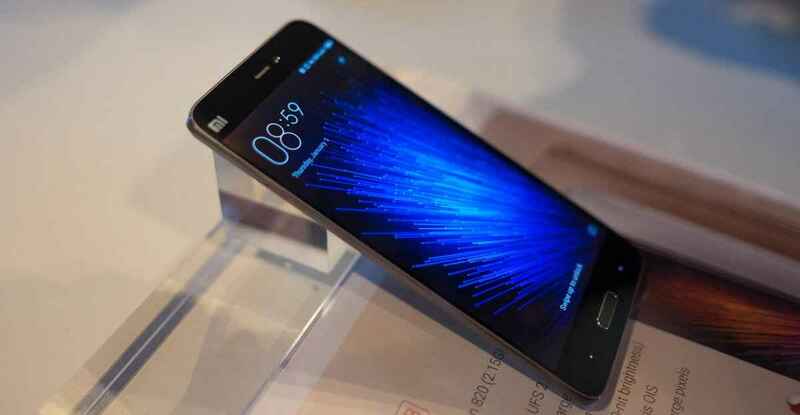 The display of the smartphone is said to be 5.15-inch full-HD (1080p) with Force-Touch features. 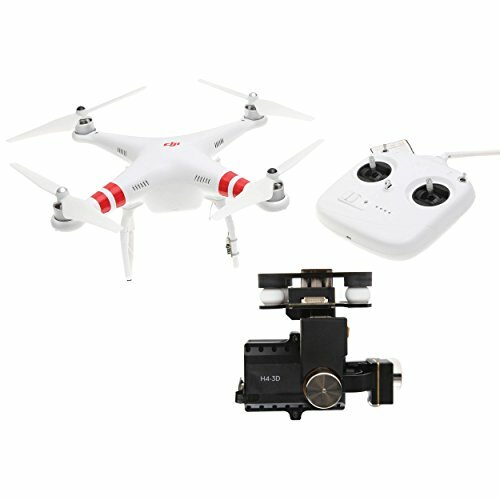 The smartphone will be equipped with a 16 mega-pixel rear camera with f/1.8 aperture and features 4 axis optical image stabilization (OIS) and phase detection auto-focus (PDAF). The device will be backed by a 3,490 mAh battery and will features Qualcomm’s fast charging 3.0. The smartphone will also features Type-C USB port, Bluetooth 4.2, and Qualcomm’s ultrasonic fingerprint scanner. The smartphone is also rumored to come with Qualcomm’s Sense ID ultrasonic Fingerprint Scanner. According to Qualcomm, the Sense ID biometrics technology uses 3D characteristics of the user’s fingerprint to deliver more efficient scanning. The technology also makes it possible for users to use the fingerprint scanner even when users fingers are wet (read more).